What are Monthly Active People? Octane AI pricing varies based on how many active people are in your bot. In a given month, the active people are those who have received a message from your bot or who have sent a message to your bot. If someone receives an abandoned cart message, a receipt, a broadcast message or flow from your bot, they would count as an active person. If someone messages your Facebook page they also count as an active person. If someone messages your Facebook page AND get a broadcast message, they would still count as only one active person. 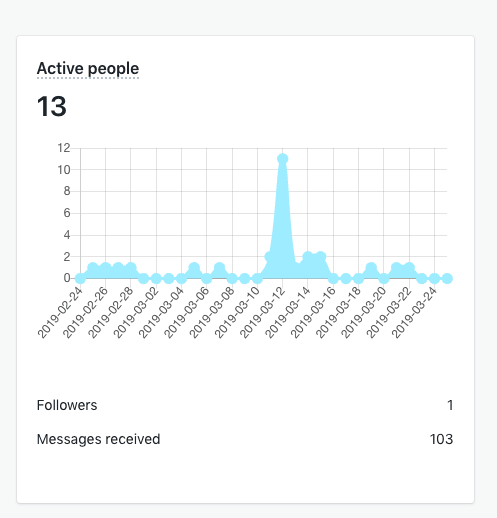 You can check out how many active people are in your bot in your Home Dashboard. What are Recurring app charges? What is the difference between them and the App usage charges? The recurring charge is the base fee (for the Basic plan, $9 and 209$ for the Pro plan) and the usage charge are the variable cost based on active users. Learn more about Shopify App charges. P.S. If you have fewer monthly active users one month, the usage charge will go down based on that. It goes up and down based on your numbers. Learn more about Octane AI Pricing.